It’s a milestone in any sport: 750 career coaching wins. The number alone is staggering to comprehend. 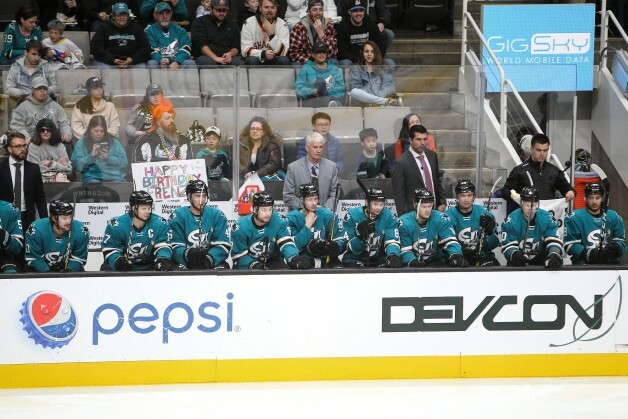 Oakland native Roy Sommer is closing in on that magic number as head coach of the San Jose Barracuda of the American Hockey League (AHL), the top developmental affiliate of the NHL’s San Jose Sharks. Sommer has spent his entire coaching career in the AHL with a Sharks’ affiliate, first with the Kentucky Thoroughblades (1998-2001), then with Cleveland Barons (2001-06), Worcester Sharks (2006-15) and the last four years with the Barracuda. He spent two seasons as an assistant coach with the Sharks in 1996-98 before taking over the head coaching reigns of the team’s AHL affiliate. The 2018-19 season marks his 21st consecutive season in that capacity. Sommer, 61, already owns AHL career records for most games coached and most regular season wins. He has currently logged 1,576 games behind the bench; he surpassed the legendary Fred “Bun” Cook‘s record of 636 career coaching wins on Feb. 10, 2016 with the Cuda. Cook’s league record had stood for 60 years before Sommer set the new standard for excellence. Sommer has a chance to pick up his milestone 750th AHL career coaching victory when the Barracuda plays a two-game set against the Stockton Heat Feb. 1-2. San Jose has 30 games left in regular season play. A milestone 800th career coaching victory could come as early as next season. Does Sommer see himself reaching it? “You never know,” he said, offering a smile. 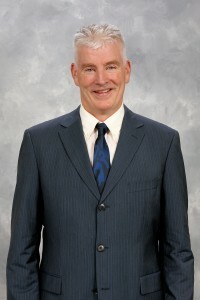 Sommer is in the midst of his 31st season overall coaching either at the assistant or head coaching level, including 26 seasons as a head coach. He spent five seasons in the East Coast Hockey League, winning a league championship in 1995, before joining the Sharks organization. Sommer certainly ranks among the elite in the hockey world. Only four NHL coaches have more career wins than Sommer: Scotty Bowman (1,244), Joel Quenneville (851), Ken Hitchcock (7865) and Al Arbour (782). 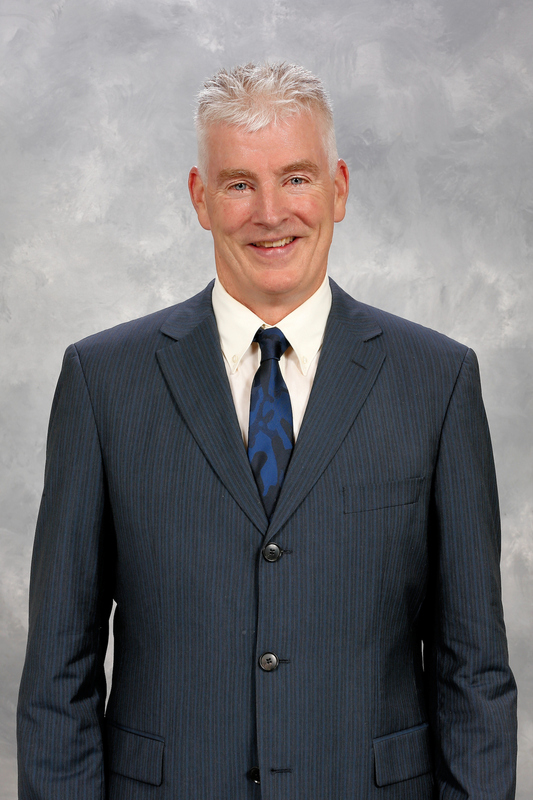 He also is a part of hockey history as the third California-born player to advance to the NHL (three games in 1980-81 with the Edmonton Oilers) and the second Californian to score a goal in the NHL. Sommer’s love for coaching is obviously something that hasn’t gotten old despite the decades-long grind. There are always new challenges. It’s been a dream start for the Bay Area team. The Barracuda entered the midseason break for the 2019 AHL All-Star Classic Jan. 27-28 in Springfield, Mass., with a 24-8-2-4 record. The Cuda’s impressive .711 winning percentage stood as the top mark among the 15 AHL Western Conference teams and was second only among the league’s 31 clubs to the .717 winning percentage turned in by the Eastern Conference-leading Charlotte Checkers. It’s a position of honor in particular for Sommer, who earned the right to coach the Pacific Division All-Star Team at the league’s midseason classic. It wasn’t unfamiliar territory for the Bay Area native, who previously served as head coach of the PlanetUSA Team at the 2000 AHL All-Star Classic and was on the Eastern Conference staff in 2015. It’s been all about teaching and guidance for Sommer, who oversees the Sharks’ development and rookie camps chock full of NHL prospects. It’s been a satisfying a rewarding assignment for Sommer as he helps young men take that next step to landing a full-time job in the NHL. In fact, he’s sent more than 130 players to the NHL in his coaching career. He had a direct hand in developing talent that took the Sharks on their history-making voyage to the 2016 Stanley Cup Finals. “That’s what we work in the AHL for — to hopefully make these guys’ dreams come true,” explained Sommer, who was a sixth-round draft pick (101st overall) by the Toronto Maple Leafs in 1977. “This is the next step to making it to the National Hockey League. It’s the second best league in the world, I think. It’s hard to play in. The guys who put their time in get rewarded. The trip to the All-Star Classic might not be the only honor Sommer earns in 2018-19. One item missing in his trophy case is a Calder Cup championship trophy. San Jose has qualified for the AHL’s Calder Cup playoffs in each of its first three years since the creation of the Pacific Division in the 2015-16 season. The Cuda won the division championship in 2016-17 en route to a runner-up finish in the Western Conference Finals. The 2016-17 Cuda team posted a 43-16-0-9 record (.699 winning percentage, second in the league) and advanced to the third round of the Calder Cup playoffs. In recognition of leading one of the league’s youngest rosters to so much success, Sommer received the A.R. Pieri Memorial Award as the AHL’s Coach of the Year. This season’s team is on pace to set franchise records for wins and standings points. Sommer admits he sees a lot of similarities between this season’s squad and the 2016-17 juggernaut team that bowed out in the playoffs to the eventual Calder Cup champion Grand Rapids Griffins. San Jose’s dynamic goaltending duo of Josef Korenar and Antoine Bibeau had posted the top goals-against average (2.53) and save percentage (.918) among AHL teams at the midseason break. Korenar, a 20-year-old rookie from the Czech Republic, was among the Cuda’s three selections to this year’s AHL All-Star Classic – joining forward Francis Perron and defenseman Jacob Middleton. Korenar, who has been a gem of a find by the Sharks after recording a 2.22 GAA and .925 save percentage for the Lincoln Stars in the United States Hockey League (USHL), ranked second among AHL netminders (first among rookies) with a 2.10 GAA and was third overall with a .924 save percentage at the all-star break to buttress an outstanding 15-3-1 record with three shutouts. Perron and Middleton both showed well for the Barracuda at the All-Star Classic. Perron tied for top honors in the shooting accuracy contest by breaking four targets in six attempts while Middleton tied for the team scoring lead with four points (one goal, three assists). Perron, who was obtained last September in a trade with the Ottawa Senators, has been a key addition to the Cuda roster, topping San Jose with 13 goals and ranking second with 28 points in 34 games. Middleton, a third-year pro, made his NHL debut against the Tampa Bay Lightning on Jan. 5. Despite fielding a young squad, Sommer has managed to find an incredible balance on the team. Twenty-six players, including 11 rookies, had picked up at least one point and 23 players, including 10 rookies, had scored at least one goal through the team’s opening 38 of 68 regular season games. The 2016-17 San Jose squad was noted for its speed; that facet is once again a plus on the 2018-19 team. After squeaking into last year’s Calder Cup playoffs by winning a tiebreaker with the San Diego Gulls in the last game of the season, the Cuda has undergone an impressive rebuild one season later through trades by the parent club and free agent signings. San Jose’s current AHL roster features just four Sharks draft picks: forward Dylan Gambrell (second round, 60th overall, in 2015), defenseman Jeremy Roy (second round, 31st overall, in 2015), forward Manuel Wiederer (seventh round, 202nd overall, in 2016) and forward John McCarthy (seventh round, 202nd overall, in 2006). Gambrell and McCarthy have both made appearances with the parent club while Wiederer and Roy are still awaiting coveted call-ups. Trades and free agent signings dominate this season’s Cuda roster. Sommer said more Sharks draft picks could be playing with Cuda by next season, starting a new development cycle for the parent club, and conceivably for Sommer. “A lot more draft picks will be coming in, a lot of good ones,” Sommer noted with a certain gleam in his eye. Joachim Blichfeld, a seventh-round pick (210th overall) in 2016, is leading the Western Hockey League (WHL) with 87 points (42 goals, 45 assists) in 48 games logged with Portland. Ivan Chekhovich, a seventh-round pick (212th overall) in 2017, is leading the Quebec Major Junior Hockey League (QMJHL) with 80 points (36 goals, 44 assists) in 46 games with Baie-Comeau Drakkar. Defenseman Ryan Merkley, the Sharks’ first round pick (21st overall) in 2018, has collected 50 points (eight goals, 42 assists) in 43 games with Guelph/Peterborough in the Ontario Hockey League. He ranks third overall in scoring among OHL defensemen. “It should be a good crop of young scorers coming up,” Sommer said.